In response to Senator Rand Paul (Kentucky) and the filibuster of President Obama’s nominee John Brennan as Director of the Central Intelligence Agency, two prominent senior Republican senators stood up and slammed him for putting on a show. He did a disservice, a disservice to a lot of Americans to make — make them fear they’re in danger from their government. They’re not! They’re not! American citizens have nothing to fear from their government. Senator McCain has been around long enough to remember some critical points in our own history which would seem to not just partially, but completely contradict his stance that Americans have nothing to fear from government. 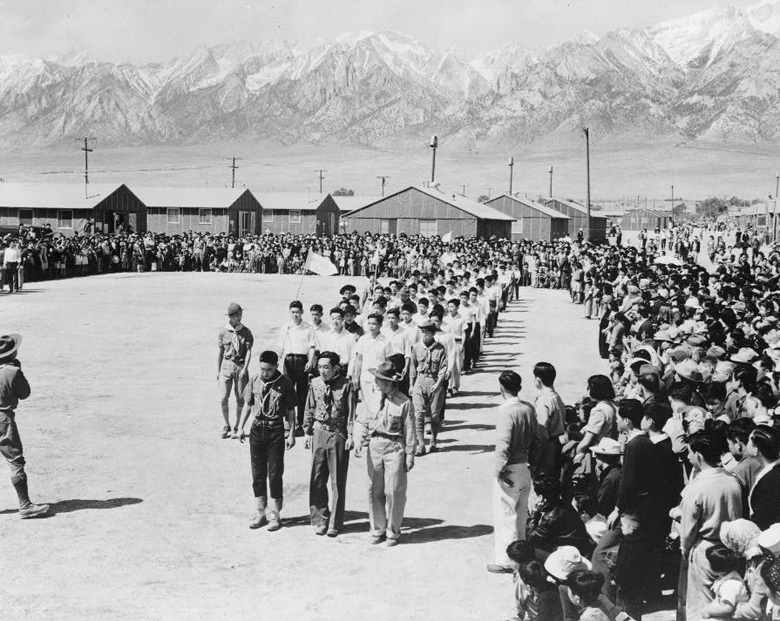 1942 – Internment of the Japanese Millions effectively imprisoned within the domestic United States having committed no crimes. 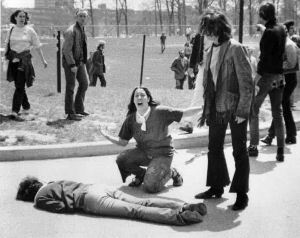 1970 – Kent State University. Four students killed when Ohio National Guard troops fire on a protest. 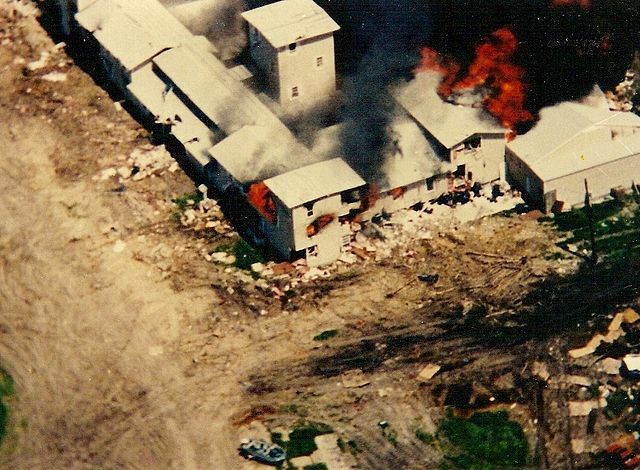 1993 – Waco, Texas. 82 American citizens (including children and infants) shot or burned to death by the ATF, FBI, Texas National Guard, Texas Rangers, and U.S. Army Special Forces (in violation of Posse Comitatus). This is just a few of the more prominent examples of exactly why Senator McCain is completely wrong. Do the people have a reason to fear the government? History is an excellent arbiter in the end and time and time again it has been shown that we have every reason to fear the tyranny of government’s sledge hammer. Senator Paul, thank you for your stand on the Senate floor, and Senator McCain, I think it might be time for you to consider retirement. While I am not Catholic, I pray for Pope Benedict and for the wisdom of the Cardinals in their selection of the next Pontiff, that it not be the wisdom of men, but that of God. Great stuff today at Arctic Pilgrim. He asks and answers an often heard question after a tragedy or atrocity. Was God there when Cain killed Abel? Was God there in the gas chambers with the Jews at Auschwitz-Berkinau and Treblinka? Was God there when the World Trade Center collapsed and the Pentagon burned? Was God there in the middle of the hurricane over New Orleans? Over Staten Island? Was God there in Newtown? Is God there when your own personal hell is raging around you? Isn’t that a terrible question to ever consider asking? How hopeless you must feel to ask such a question and doubt the power and presence of the Creator Himself. Where is God? He’s right there in front of you. His arms are wide open and He wants you to see Him, to love Him. Sometimes terrible things happen in this world, but through it all, the hand that holds yours through it, if you let Him, will be His. Just ask Genelle Guzman-McMillan, the last survivor pulled from the rubble of the World Trade Center. One of the most well-read and God-loving men I know has as one of his guiding principles that when phrases or concepts are repeated in the Bible, there is a distinct and incredibly important reason. For instance, the combination of “Fear not,” “do not fear,” “be not afraid,” etc are in the bible hundreds of times. Why is that? Simply, if God, the eternal, all-powerful, Creator of every last subatomic particle and ampule of energy in the entire universe and beyond, is on your team, then really, what does it matter what is arrayed against you? Something I have heard a lot of late amongst conservatives and patriots is a lament, a deep-seated concern that perhaps we are outnumbered. To this I say what does it matter? Does it matter if we philosophically outnumbered? Does it matter if we are physically outnumbered? Does it matter whatsoever how many people attack us verbally, disrespect us publicly, or assault us physically? Even in the most dire of circumstances where you are being hunted or persecuted for your beliefs, you have one amazing thing on your side if you have the Lord of all in your corner. So what should you do? Should you cave on your principles in the face of a numerically superior enemy? Should you compromise on your principles? Should you do whatever it takes to survive? We rise up and stand firm. Don’t give up the ship. Fight her till she sinks. What does it look like to stand firm? Imagine a shield wall. Tens, hundreds, thousands of foot soldiers with interlocked and overlapping shields arrayed and shielded on both sides by something immovable, like a rock wall. You hold fast, assured that your sides are protected just as well by your comrades in arms… but as a Christian, that faith does not need to be in men, but rather the God of the universe. I read a book not long ago that spoke about “the covering” as something God bestowed on David and his mighty men (Benaiah, etc) in combat. They did not understand it, but when they were under “the covering,” they were invincible. Standing firm, or standing fast, in faith is much like that… you are within that shield wall and you are untouchable. I have the privilege of being surrounded by faithful men in many walks of my life. As I write this, I just got home from spending a few hours together with many of these men studying the Word of God. How easy it is to share your faith in such a setting. But did Christ call us to walk the easy path? During the course of our conversation tonight, we explored the concept of being beyond reproach. Now the overseer is to be above reproach, faithful to his wife, temperate, self-controlled, respectable, hospitable, able to teach. This passage is considered to be the requirements for a position of leadership within the church, but I believe it to be an instruction for all men, as overseers of our families and leaders within society. Now you might say that you’re not a leader and don’t aspire to be. Are we not called to help lead others to Christ? To point the way and serve Him by fulfilling the command to go forth and make disciples? Does that not make you a leader of a sort? Do I portray myself to lost souls beyond reproach? Am I living in the world or am I living as Christ’s ambassador in the world? I find myself questioning if I had let Christ work through me on others as much as I could. I try to show and act with love toward others, but in every circumstance? Do I do everything to fight injustice and to show mercy as He has directed? If I did not answer “no” I would be lying to myself. I can do better. I must do better. So, back to one of my original questions – did Christ call us to walk the easy path? We know His burden is light as becoming obedient to Him and the Father is to free ourselves of the debt and consequences of sin. But we also are told that we will face trials, temptations, persecution, ridicule, and rejection. None of that is easy. I think we are to live our lives for Christ without regret, without fear, with love, with honor, and with faith overflowing. Where am I going with this? Simple, I have faith. I firmly believe that Jesus Christ came to Earth fully God and fully human, was crucified, rose from the grave, and ascended into Heaven. I believe that the Father and Son love me so much as to not just forgive my sin, but to completely wipe it out. Why should I fear living openly for Him so that others might see His glory and faithfulness to me? Will He not arm me for whatever battle I may face in life?